Learn the latest industry practices of motor starters, motor drives, PLCs, and control devices. Essential troubleshooting procedures are integrated in each chapter and electrical safety has been expanded throughout to address new NFPA 70E® requirements. Electrical Motor Controls for Integrated Systems, the industry-leading training textbook, includes the latest motor control and integrated systems technology for instruction of advanced manufacturing skills. 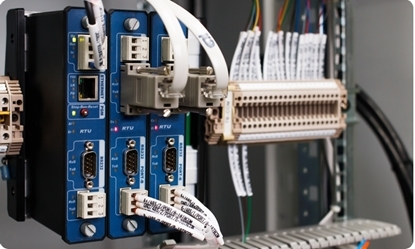 The latest industry practices complement the advancing technology of motor starters, motor drives, PLCs, and control devices. Essential troubleshooting procedures are integrated in each chapter and electrical safety has been expanded throughout to address new NFPA 70E® requirements. 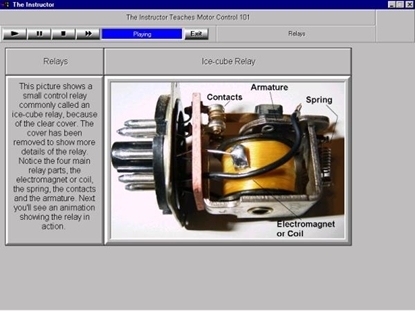 Text contains a CD-ROM with Quick Quizzes®, an Illustrated Glossary, Flash Cards, Review Questions, Applying Your Knowledge, Motor Control Library, Media Clips, and a link to ATPeResources.com. These activities enhance the content to provide additional information and assessment. 2. Call us at (800) 321-2155 and ask for course 02-624. Learn the basics of motor control with this motor control tutorial. Train at home with a motor control tutorial CD package that includes interactive exams and a certificate of completion. HVAC Control Systems provides an introduction to HVAC fundamentals and control system principles for pneumatic, electromechanical, electronic, and building automation control systems. This certificate course covers the full spectrum of industrial maintenance and control from servomechanisms to instrumentation.